Recently I did a post on the words listed in Landmarks By Robert MacFarlane. In the glossaries are several words attributed to Gerard Manley Hopkins. Words like endragoned for a raging sea, or bright-borough for an area of sky thickly strewn with stars. I never knew we needed a word for ‘thickly strewn with stars’, but looking at it I can see it could be useful and poetic. I had not realised that Hopkins went in for neologisms in a big way, but I’m not very familiar with his poetry. So I decided to read up on it and found several interesting websites: Crossref-it.info and The Wonderful World of English among them. Science fiction should be a good hunting ground for novelty in all forms including words, and academia positively blizzards invented/imagined/redefined terminology. I’ve known people who really hate invented words, but IMHO without all these authors developing new words, our language would be poor indeed. I came across the name Kinokophone by chance. It is a company dedicated to gathering sounds and using them artistically. They are supported by bodies like the Arts Council, and do some work with the British Library. Apparently, they invented their name and the word kinokophonography – one of the great new words, a sort of slamming together of Japanese and Greek that rolls off the tongue (after some practice). All over the world there are libraries of sounds and they’re working hard to preserve and save the various sound recordings – many of which are becoming unplayable. This is an important legacy to hand on to the future. It’s sad that we can’t hear Shakespeare recite his own poems, but it’s unavoidable. 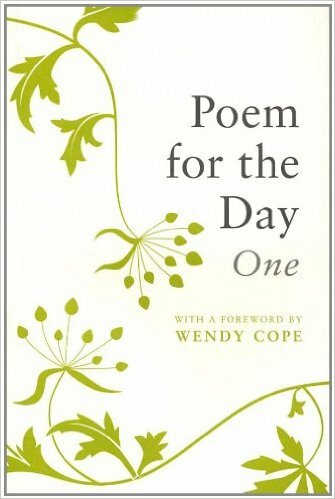 We would have to hang our heads in shame if the same fate overtook today’s poets who are mostly well recorded. 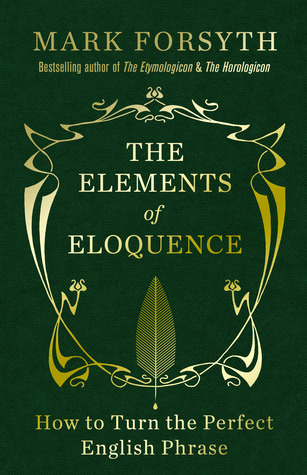 I recently bought a book about rhetoric – The Elements of Eloquence by Mark Forsyth. Subtitled How to Turn the Perfect English Phrase it gives information and examples of numerous rhetorical devices that will hopefully expand and improve the reader’s writing. Anyone can use rhetoric. When the main man in Dr No introduces himself as: ‘Bond. James Bond.’ he’s using a diacope (or verbal sandwich in English), as well as a scesis onomaton. While the Greek and Latin words may take some learning, the English explanations are very readable and interesting. They open up a whole array of new understanding about what writers from Shakespeare to John Lennon have been up to.